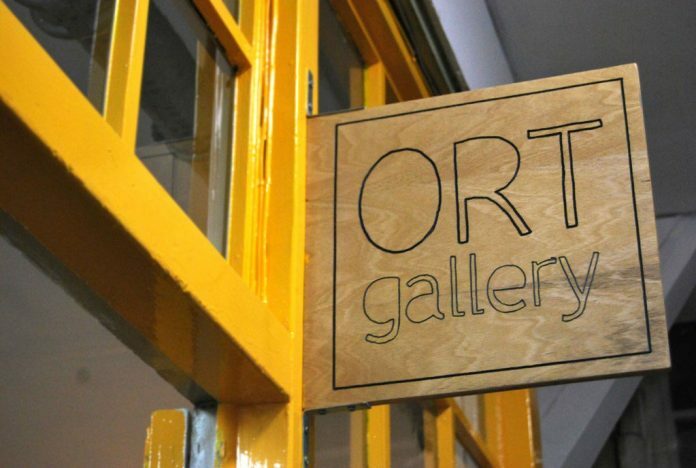 Next month sees a new exhibition of music inspired art at the Ort Gallery in Balsall Heath. 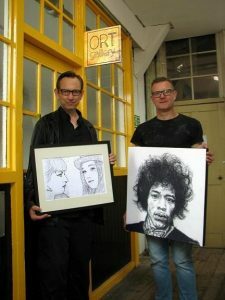 From 4 – 10 August, local artists Kirk Andrews and Tim Thomson present Rock – a selection of drawings and prints inspired by rock musicians and their fans. Andrews’ bold charcoal portraits of icons such as Keef, Bowie, Hendrix and Ozzy, crowd surf with Thomson’s delicate monoprints of fans – inviting you to explore the unique relationship between musicians and the sub-cultures of their followers. And when you’ve looked, thought and questioned, take part – play instruments, leave your mark on the graffiti wall, sketch and doodle. And as both Andrews and Thomson are invigilating the exhibition themselves, you can meet the artists and have a chat too. Tim Thomson said: “I’m a Fine Art graduate and I’ve spent years in graphic design only recently taking the leap to sell my art at art fairs across Birmingham. Like Kirk I want visitors to be able to add something to the show and feel part of it. I hope they’ll find the exhibition accessible and inspiring – music is universal and links us all. Both artists have work for sale, from £20 – £250, in sizes, to suit all spaces, framed, mounted and stretched canvas. The exhibition will run between 4th August – 10th August 12 noon till 8pm.